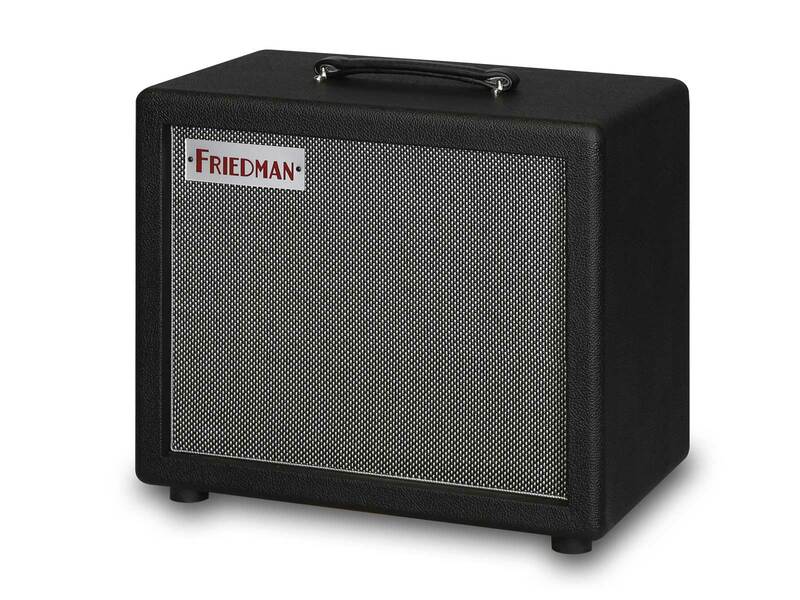 The Friedman Dirty Shirley Mini is a 1x12" ported extension cabinet which utilizes tongue and groove Baltic Birch construction to deliver the bass, mid response and great sound you would expect from a Friedman 1x12” cab. At the heart of the cab is a Celestion G12M-65 Creamback 16 Ohm speaker. The G12M Greenback is perhaps the definitive vintage Celestion ceramic magnet guitar speaker. Developed in the mid-sixties, it was quickly adopted by players like Hendrix, Beck and Page, who typified the louder and more aggressive blues-rock playing styles that came to characterize that era. The higher power handling G12M-65 Creamback used in the Dirty Shirley Mini 1x12 produces that familiar woody tone, making it ideally suited when both vintage and modern tones are desired. The increased power handling brings with it low end grunt complementing the warm and vocal mid range, crunchy upper mids and sweet, refined highs. 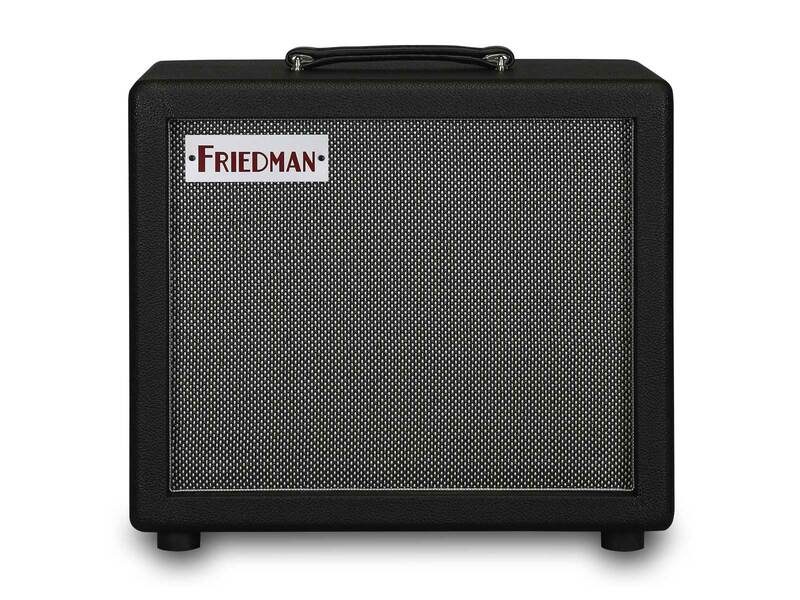 As with all Friedman cabinets, oversized 12-gauge speaker wire is soldered between the speaker and terminal, assuring you capture every ounce of valuable tone. This compact little monster not only excels in the studio, but also is the perfect compliment for any stereo or wet/dry/wet rig. The Friedman Dirty Shirley Mini 1x12 is handcrafted with pride in the U.S.A. and designed to withstand the rigors of the road.